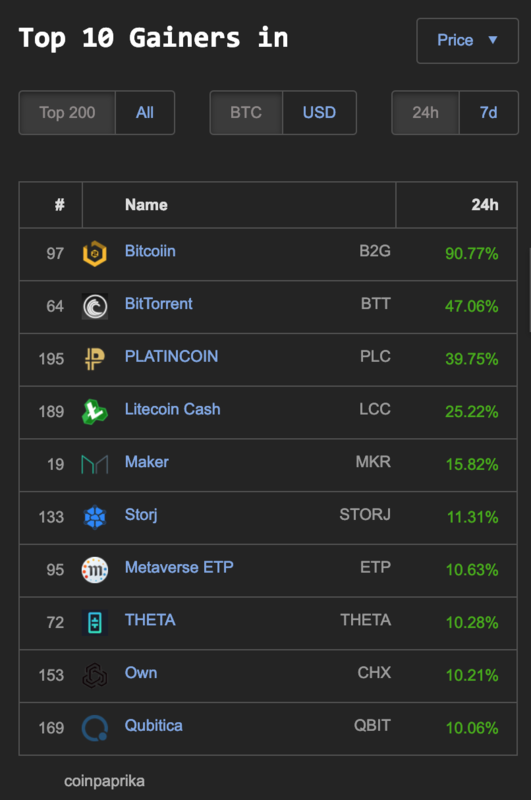 The broader cryptocurrency market is down slightly, with notable green gains being made by: TRX, EOS, BNB and LTC. 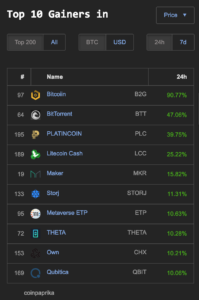 There are a dozen or so double digit gainers in the top 200 marketcap as seen on coinpaprika including the new BitTorrent token (BTT) making another recent appearance. 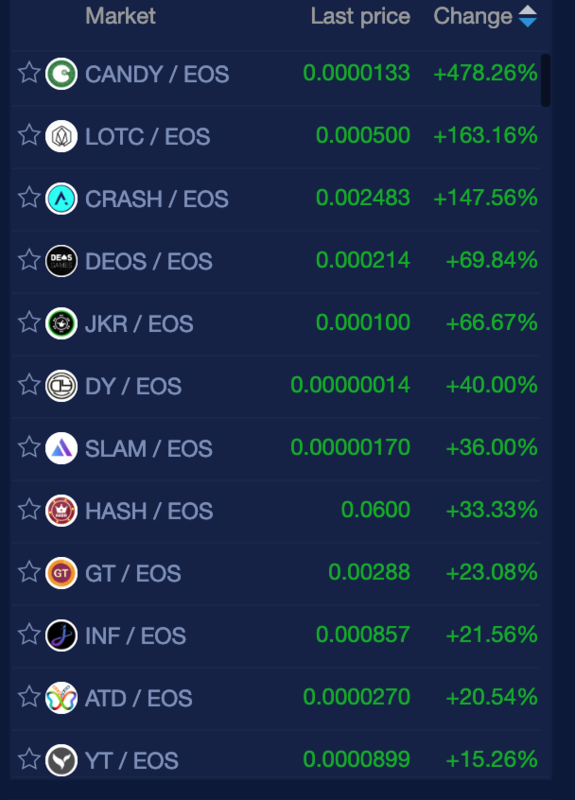 Atidium (ATD) which is kind of a cool color-coded payment, budget and money management DApp. 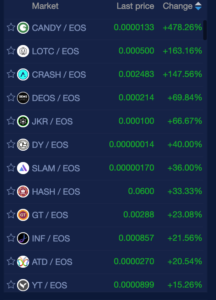 EOS cryptocurrency trading pairs have the only triple digit gainers on the day.